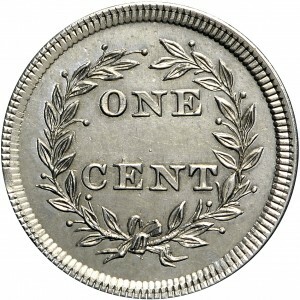 This pattern issue combines the obverse of 1853 quarter eagles with a new reverse inscribed ONE CENT. Composition was copper-nickel alloy similar to the “German silver” alloy used by Lewis Feuchtwanger for his private cent patterns of 1837. This alloy combined copper, nickel, and zinc in various proportions. Three such compositions were recorded: 40% copper, 40% nickel, 20% zinc; 30% nickel, 60% copper, 10% zinc; and 40% nickel, 60% copper. Although each composition had its own inherent coloration, practical considerations suggest these cannot easily be distinguished by color alone. Specific gravity of these compositions do not provide the necessary distinction. 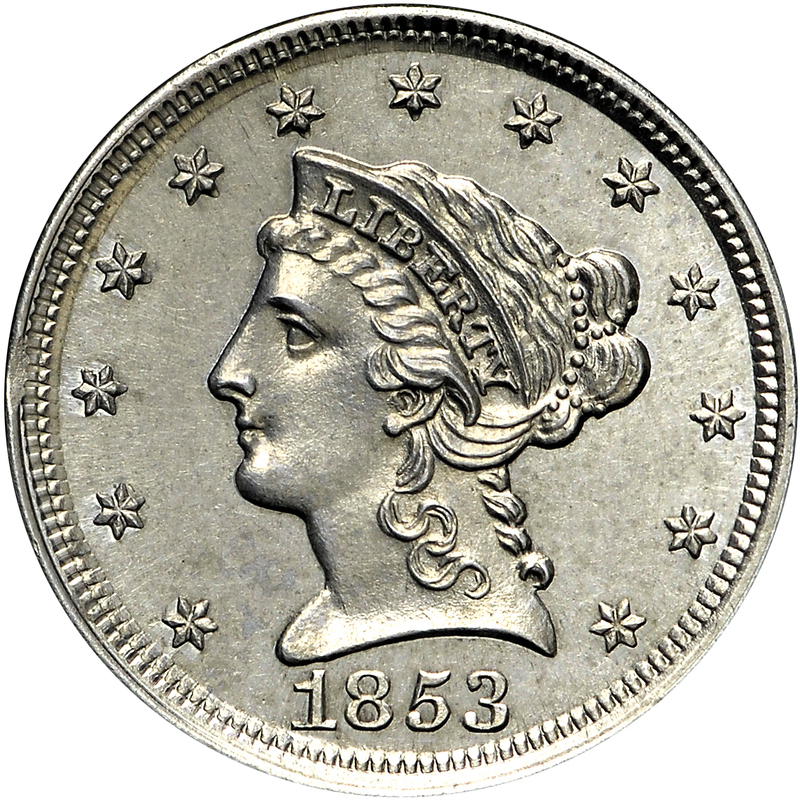 Gobrecht's Liberty or Coronet head to left, 13 stars around, date below. 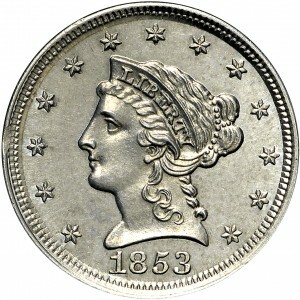 This is the regular die used for 1853 gold $2.50 pieces. 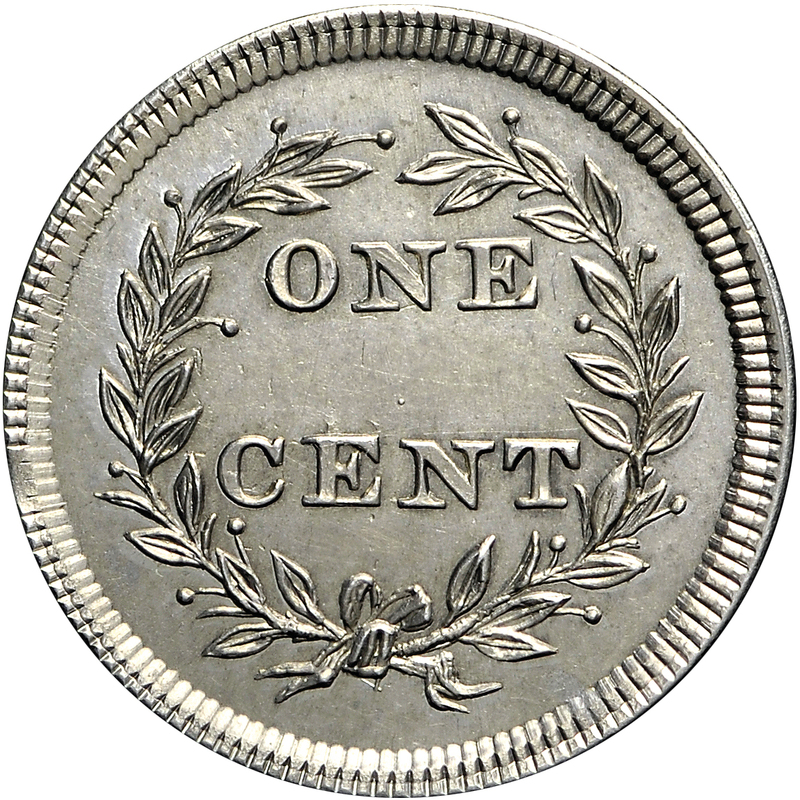 ONE CENT within scanty, open-topped laurel wreath. "Was listed as Patt 144."